The Plenty handheld vaporizer by Storz & Bickel is a powerful and robust yet lightweight and silent. 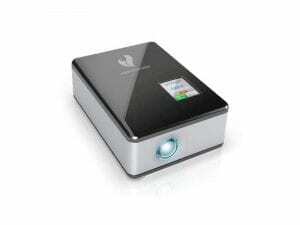 Its an ideal handheld unit for home use. The PLenty does just that it produces plenty of vapor and flavor in every hit! 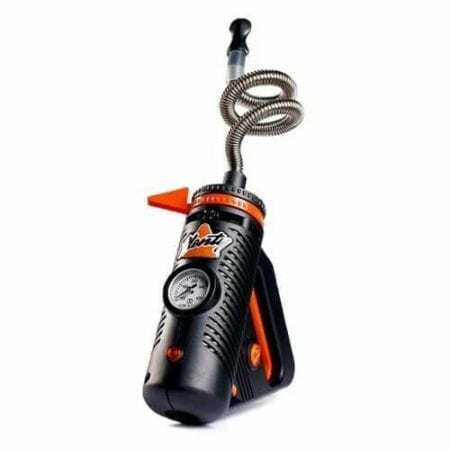 This vape incorporates several cutting-edge thermal engineering features in order to enhance the vaping experience. Remember this is the same company that brought us the Volcano! The stainless steel whip is designed to cool the vapor as it passes thru it to give you the best in flavors. Also, a new double helix heat exchanger is used in this unit which makes it heat in half the time while maintaining a steady temperature while you take a hit. 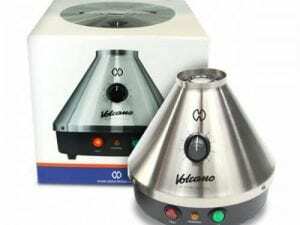 The Plenty’s vapor quality is similar to the Volcano: dense, flavorful, and pure. 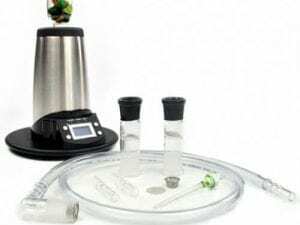 The Plenty’s effective vapor production system makes for an enjoyable experience without the learning curve or multitude of components found in other vaporizers. 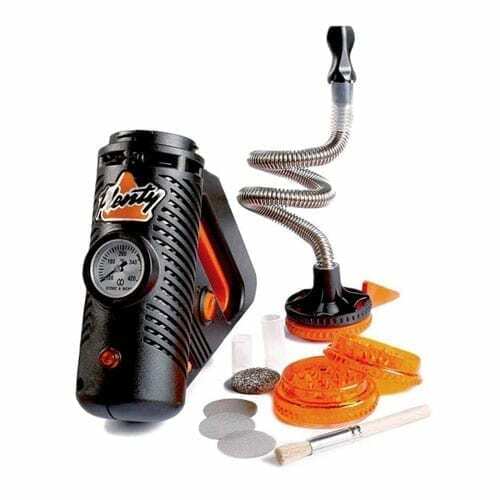 Simply load your blends in Plenty’s filling chamber, select your desired temperature on the Temperature Adjustment Wheel, engage the heater, and enjoy high-quality vapor!